Janessa Pelin Ulug, a freshman in her first year of journalism, hopes to pursue a job as a software engineer as it involves her love for mathematics; if she does not follow through, she wishes to practice law because she loves arguing. She plans on joining speech and debate this next school year. During breaks between school and her online classes, Janessa and her family take trips to Maui in Hawaii where they own a vacation home, walking distance from the beach. She considers the island as a sort of second home as she stays for around three months a year and has friends there as well. However, Janessa does not plan to live there or attend college; it does not have three important characteristics: a decent mall, Trader Joe’s and her closest friends. Trader Joe’s is quite important to Janessa, she loves it for its colorful aesthetic and its mango sorbet. Janessa speaks two different languages: English and Turkish, which was her first language. She did not learn English until kindergarten. In 2010, Janessa started playing soccer as a result of her best friend of the time, Katie, who asked her to join. 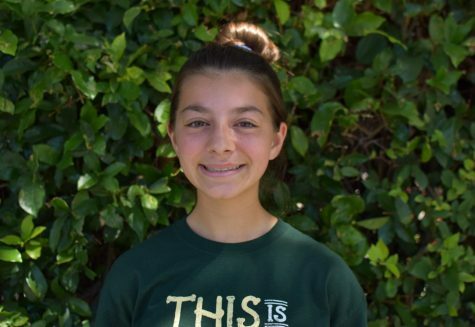 She currently plays left forward for a team at the Central Valley Recreational Center and plans to continue playing through the majority of high school.